Are you a designer, illustrator, DIYer, recipe maker or perhaps even a cocktail-mixing queen? Are you struggling to grow on Instagram and expand your reach? If so, #hashtags are just one of the great ways to increase your Instagram account’s exposure and get those ‘likes’ you want (and deserve!). #creativityfound: Trouve Magazine’s hashtag is all about celebrating creativity in all forms. #ABMcrafty: Share your latest handiwork with this hashtag created by A Beautiful Mess. #troopStudioDIY: Have you attempted one of Kelly’s fun DIYs at home? If so, be sure to share your creation with the Studio DIY team using this hashtag. #solopreneur: the latest buzzword in business also has a hashtag, obvs. #girlboss: Sophia Amoruso is the Girl Boss OG, and now this hashtag represents females hustlin’ on the regular. #womensupportingwomen: Because we rise by lifting others, right? #flashesofdelight: Originally created by Glitter Guide, this is the perfect hashtag for any of your creative Instagrams. Share beauty, love, inspiration and creation with this multitasking tag. #thatsdarling: From the good folk at Darling Magazine, this versatile hashtag is perfect for any of your beautiful snaps. #wandeleurspark: In the words of Team Wanderer, this hashtag “is all about sharing what makes you aspire + inspire”. Use it to tag whatever makes you smile, inspires you or brings you joy. #StudioDIYwallcrawl: Have you snapped a photo in front of #thatpinkwall or another color-filled piece of street art? Share your snap, plus the wall’s location using this tag. #candyminimal: Two words: pastel dreams. #drinkonfleek: Just like your eyebrows and your outfit, your drink can also be ‘on fleek’. #ABMhappyhour: Those clever girls behind A Beautiful Mess have some great hashtags (see below for more), and #ABMhappyhour is no exception. #donutworrybeawwsam: Sam from the blog Awwsam is the ultimate donut lover. Use this tag when snapping your #donutporn. #awwsamsweettooth: Awwsam continues her obsession with sweets with another fun hashtag. #ABMlifeissweet: Another from the A Beautiful Mess girls, this time for all of your sweet creations. 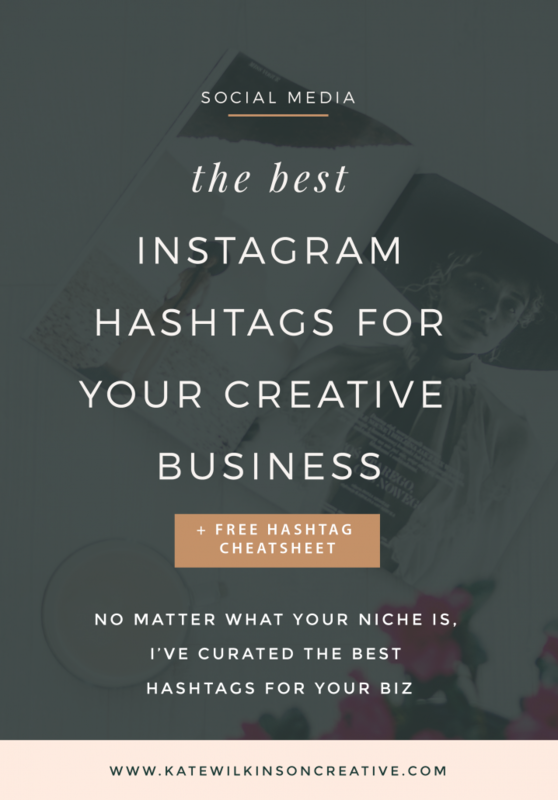 Want even more hashtags for your creative niche? Download my Hashtag Cheatsheet below (it’s free!). Are there any hashtags you use for your creative biz that have helped grow your following? If so, pop them in the comments below to share them with our community. Another fabulously practical post Kate! I will be using all these hashtags in my next Insta post, thanks! 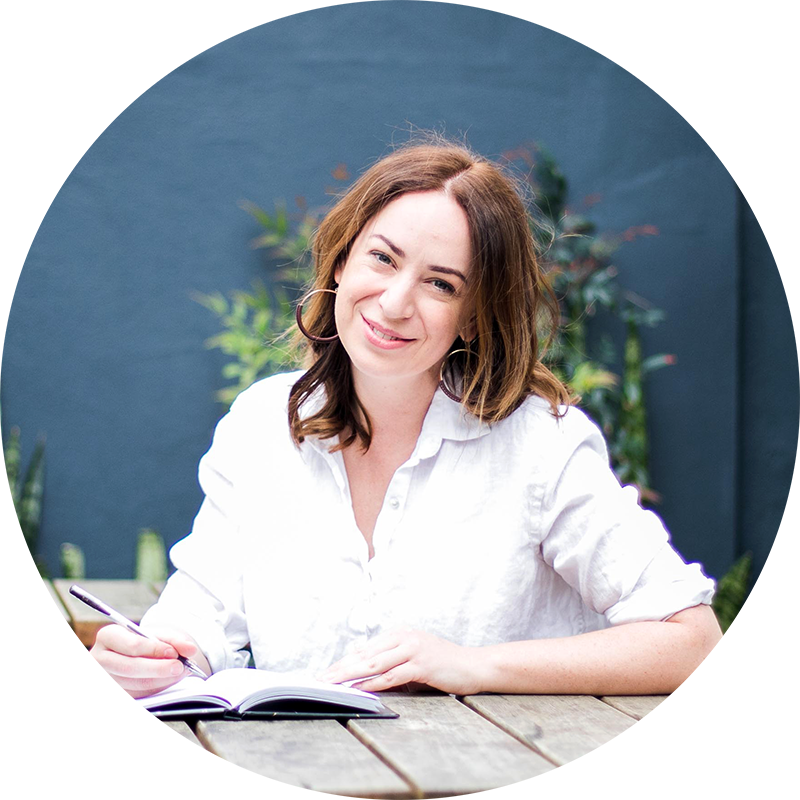 I’m here to help you reach your goals, grow a successful business and authentically stand out from the crowd.